South Mumbai or as it is famously known as SoBo, is one part of Mumbai which is aspired by many. Filled with lavish and sprawling neighborhoods, best educational and medical institutions, lively nightlife, this part of Mumbai is the touch of glamour to the city of dreams. There are many areas which are sought after by people for luxury homes. Every person has thought about owning a sea-facing house in South Mumbai at least once. 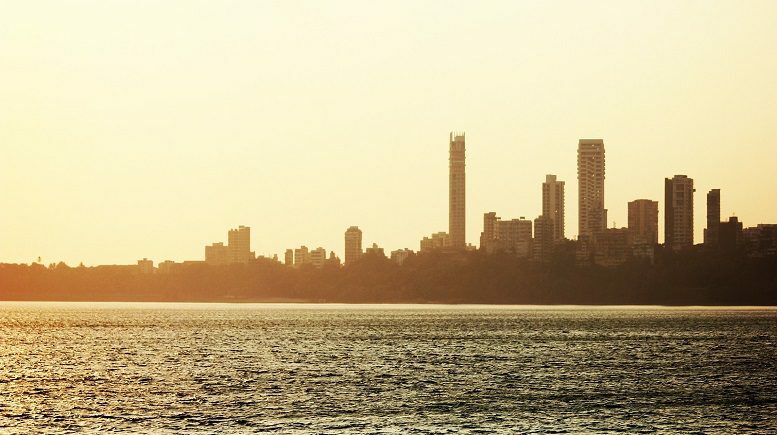 Here we bring forth a few advantages of living in South Mumbai. Exclusivity is one of the most prime reason for home buyers to look for flats in South Mumbai. Property prices in Mumbai are the highest in South Mumbai and rightly so. Areas like Breach Candy, Napean Sea Road, Malabar Hill etc are some of the renowned locations where you can see the elite having their private bungalows & luxury homes. In terms of exclusivity, you will only come across people from the upper middle class and super rich backgrounds. There is no other place as charming as South Mumbai and this is what makes it different from other locations. This business capital of India has headquarters of many big companies and MNCs in Mumbai. Hence South Mumbai is a place which is frequented by many on a daily basis. It is well connected through public transport and also if you want to drive away in your car. The Bandra-Worli Sea Link connects you to the Western Suburbs. The Eastern freeway takes you to Chembur and Vashi. There is also the option of Metro trains with stations at a fair distance. If you own a luxury flat in South Mumbai then it becomes convenient for you to set out to work whether it is towards Nariman point or towards Lower Parel, or BKC & Vashi. South Mumbai is a foodie’s delight. With all types of cuisines available, the palate of a foodie can travel the world through South Mumbai. Famous restaurants such as Soda Bottle Openerwala, Zaffran, Farzi Cafe, Bhagat Tarachand etc are situated in South Mumbai. Talking about nightlife, the number of pubs in South Mumbai, make the nightlife an amazing one. From Socials, Hard Rock Cafe, The Bar Stock Exchange to The Irish House, the list of happening pubs is endless. Real Estate Builders in Mumbai are taking up steps to retain the charm of the neighborhoods in South Mumbai. In their entirety, these posh localities are not so overcrowded. The lanes are expansive and covered with calming canopies. The hustle of traffic is less as in many areas autos are not permitted to enter. South Mumbai has many reputed schools and colleges. Dhirubhai Ambani International School, Xavier’s College, JJ School of Art, National College etc are some of the most reputed educational institutions. If you are thinking of purchasing a luxury flat in Mumbai, then your children have access to some best schools and colleges in town. No to forget that hospitals like Jaslok, Breach Candy, Wockhardt etc all are located in the vicinity. This city of dreams is desired by many. Buying a property in Mumbai is considered to be a huge step in upgrading one’s standard of living. More so if you are planning to buy a luxury flat in Mumbai, more so in South Mumbai then prepare yourself to live a luxurious life. Be the first to comment on "Advantages of Living in Mumbai’s Top Luxury Real Estate"